Last set of pictures of the (boring) cruisers for this fleet I promise. 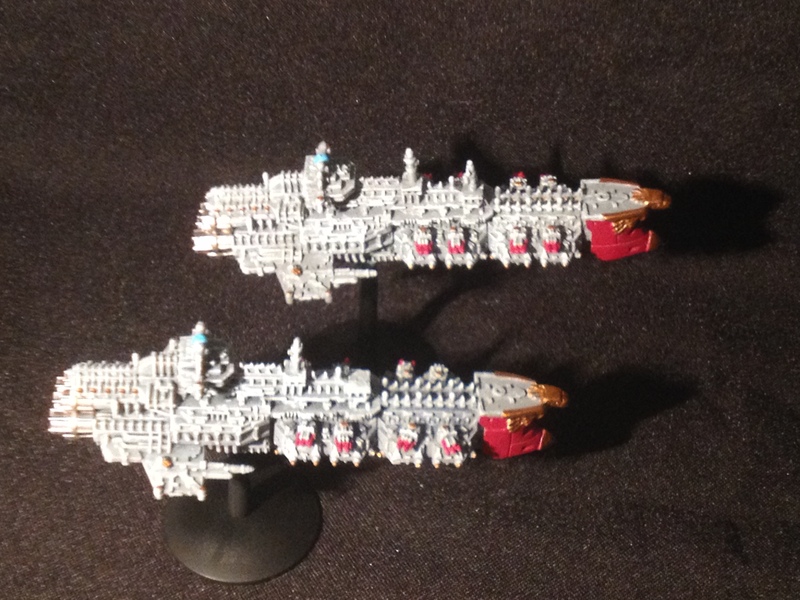 This time it the pair of Gothic class cruisers in the list, the Issachar and the Zuar, that are in the spotlight. As anyone that has played me at BFG will know, I love my Gothic Class Cruisers! While they do get some flack from being solely lance-boats and rather vulnerable in a prolonged fight with another similar sized ship, I love the ability to have them deliver the killing blow to the enemy after their shields have been knocked down. Any opportunity to lock on with these beauties is always seized! That brings us to the end of the cruiser class ships in the fleet with a nice round mix – 2 Gothics, 2 Tyrants, 2 Dictators, and 3 Light Cruisers. 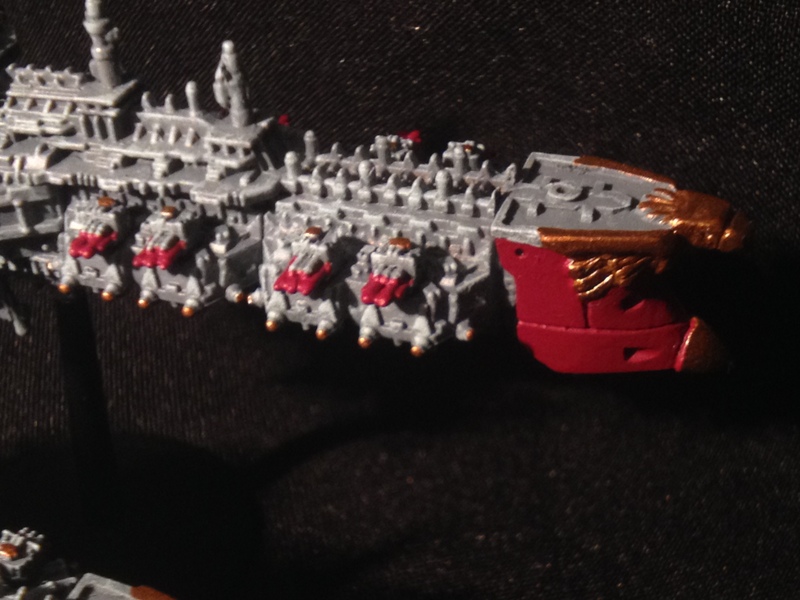 This gives me a fairly heavy ordnance presence with 10 launch bays, 2 Nova Cannons, and a spread of torpedoes. I kind of need this number of launch bays as none of the larger ships offer any.